Image of a DSLR camera. But how does a camera work? This is Part 2 of Learn Photography Faster Than Ever. If you have not read Part 1 use this link to go there. If you want to create perfect images, you need to learn how does a camera work. At its core Photography is about capturing light. That light goes into your camera through a lens which has an aperture inside. By widening or narrowing this opening, you can control how much light goes inside the camera. Here you can see how a DSLR works. Do not worry, it is less complicated than it looks. The light passes through a shutter now, which opens when you press the shutter release button. From there, the light hits the camera sensor, where it is digitally captured and saved as a photo. All types of cameras work quite similar, whether you have a DSLR or a smartphone. As you know, I am a strong advocate for keeping things simple. It is not necessary to dive deep into technical details or into the long history of photography like many other photography blogs do. All you need to know is that you can control the light in three ways. Use the aperture to set the amount of light. The further you open this hole, the more light goes into the camera. The shutter lets you set how long the light is allowed to hit the photo sensor. The faster you set the shutter speed, the more you can freeze the movement of objects. If you do not have enough light because you want to shoot after sunset or freeze a moving object in a dark room, the third option is to increase the sensitivity of the camera sensor. You can use the ISO setting for that. Always adjust this setting last, because the higher you set the ISO value, the more noisy the image becomes. Today’s digital cameras have become increasingly sophisticated and complex. The average digital camera today literally has many tens of buttons, switches, dials and menu options. The big question is which of all these options do you really need to know and understand? 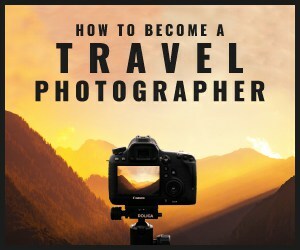 Especially if you try to learn photography faster than ever before. This little story about my friend sums up perfectly how you should use a modern digital camera. Of the many buttons, switches and dials, there are a few that are essential to capturing an image. The rest are nice to have and, if shooting in JPEG mode, can be utilized in place of postcapture processing. However, for the most part, and particularly when shooting in RAW mode, most can be ignored except in extraordinary circumstances. Your next step is to learn how to use exposure in photography. By understanding how to expose an image properly, you will be able to create better photos.